Remember last month in Southeast New Brunswick when warm and wet weather was the rule? 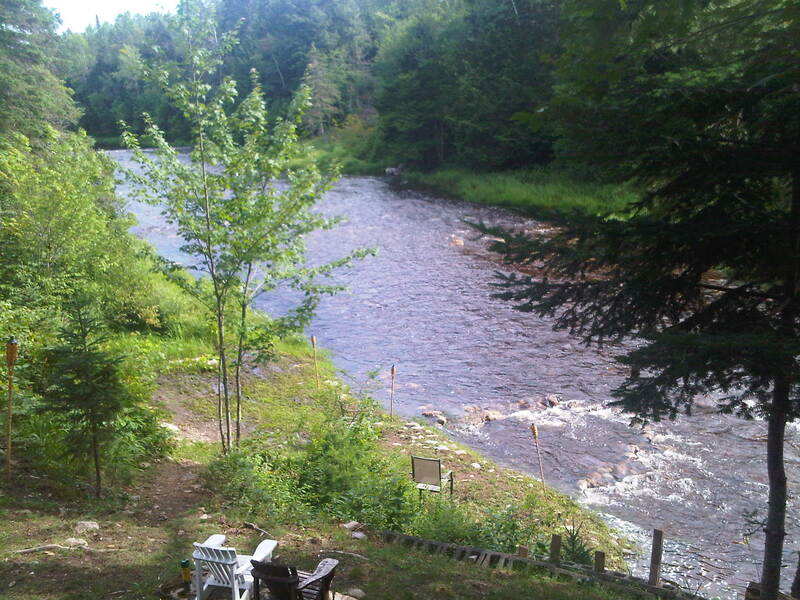 August 2011 had remarkedly similar weather and although it was wetter than normal, it was not quite as wet as July. Temperatures were not extreme in either direction – the elusive maximum of 30 C was never reached while low temperatures seldom fell below 13 C.
Although August is typically the driest month of summer, this month proved the opposite with rainfall exceeding 13 mm on five separate days. 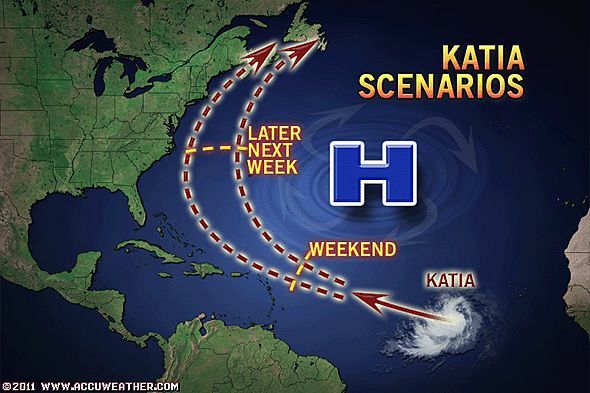 Katia – the 12th named storm of the Atlantic hurricane season – is poised to become the next hurricane to threaten the American East Coast and possibly Atlantic Canada. After brushing Bermuda during the upcoming Labour Day weekend, current scenarios bring the storm up the Atlantic later next week with a possible eye on the Maritimes. September and October are typically the busiest months for these types of storms in the North Atlantic. By the time Irene arrived in New Brunswick early this morning, the former hurricane had been downgraded to a post-tropical storm. The eye of the storm had gotten as close as 70 km northwest of Edmundston as it made its way north from New England to the Gaspe Peninsula and onward to Labrador. At the storm’s peak, more than 50,000 New Brunswick households had lost power as winds gusting as high as 93 km/h (recorded at Greater Moncton Airport) uprooted trees which brought down power lines around the province. Most of the rain associated with Irene fell yesterday, with about 20-30 mm in Southeast New Brunswick, and the highest totals at Doaktown and Fredericton with 89 mm reported. Quebec’s Eastern Townships (left side of storm track which gets mostly rain; right side mostly wind) received the most rain with almost 110 mm at Sherbrooke. 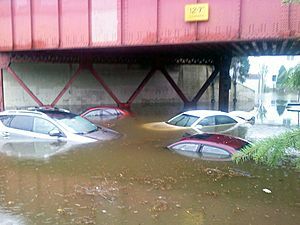 New York City appears to have avoided an urban disaster from Hurricane Irene although the storm made landfall early today (630-am AT along the New Jersey coastline) and brought America’s largest city to a halt. 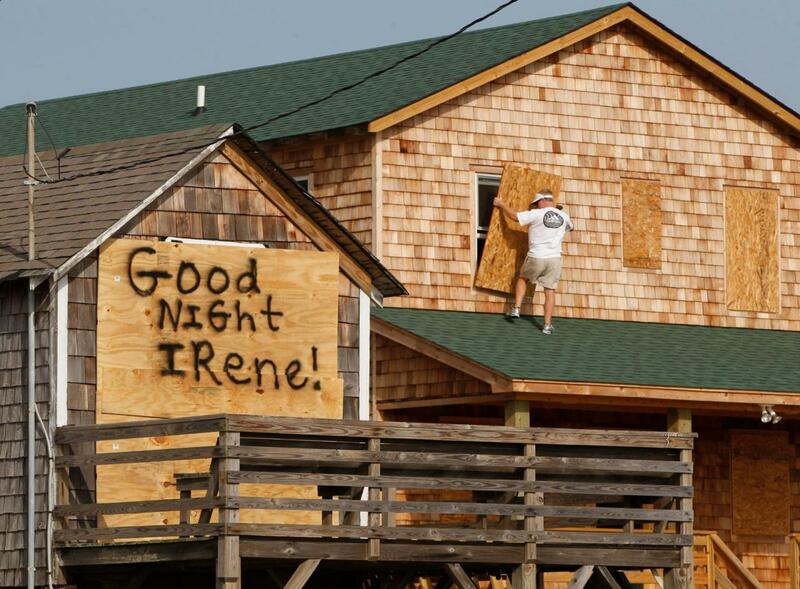 At least 45 deaths are being blamed on Irene along the American East Coast, thousands more have been evacuated from low-lying areas and millions have been left without electricity. A powerful storm surge flooded streets in Manhattan and Brooklyn including the Coney Island amusement area. By late morning, Irene had been downgraded to a tropical storm as it headed north over New England on its way to eastern Quebec and northern New Brunswick. 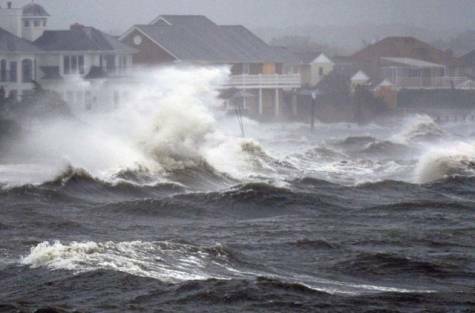 Hurricane Irene’s rains began reaching the U.S. East Coast on Friday ahead of a weekend of punishing weather from the Carolinas to as far north as Massachusetts, with at least 65 million people in the storm’s track. Swells from the hurricane and 6 to 9-foot waves were showing up in North Carolina’s Outer Banks early Friday and winds were expected to begin picking up later in the day according to the U.S. Weather Service. Meanwhile, the hurricane warning area now covers an area from North Carolina to just south of New York City. A hurricane watch extended even farther north and included Long Island, Martha’s Vineyard and Nantucket, Massachusetts. The storm is expected to impact New Brunswick early Monday. 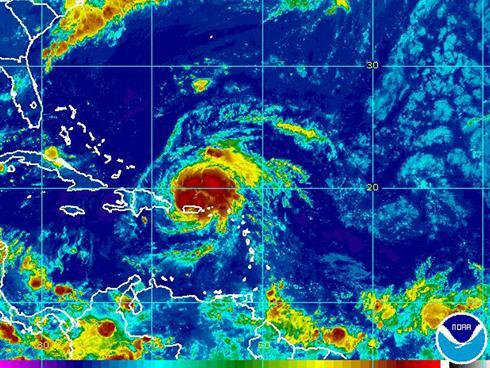 The first hurricane of the 2011 Atlantic season has battered the U.S. territory of Puerto Rico and has the Dominican Republic next on its list. 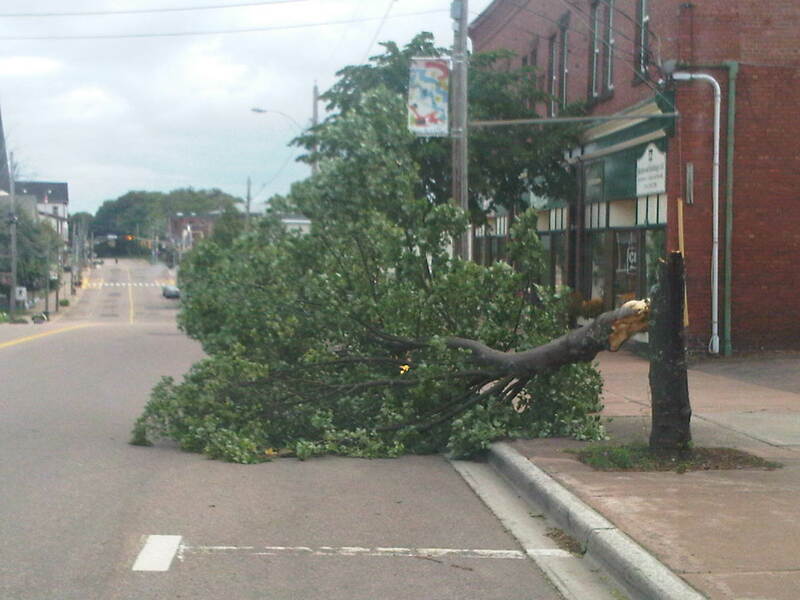 Irene, with maximum winds of about 130 km/h, knocked out power to almost half of the island’s residents. The storm is moving toward the Bahamas on a path that could take it to the U.S. mainland and Florida by week’s end. The ninth named storm so far this year, Irene is bringing drenching rains with up to 300 mm expected in some areas. A powerful tornado devastated the Lake Huron town of Goderich, Ontario yesterday – killing one and injuring at least 37 others. Environment Canada says residents were warned about the twister about 12 minutes before it hit. A state of emergency has been declared in the community and there is so much destruction in the downtown area, it has been deemed a “no-go” zone. As a result of winds up to 300 km/h, roofs were ripped off historic buildings, trees were turned into match sticks, cars were tossed around like toys and power lines were pummelled. 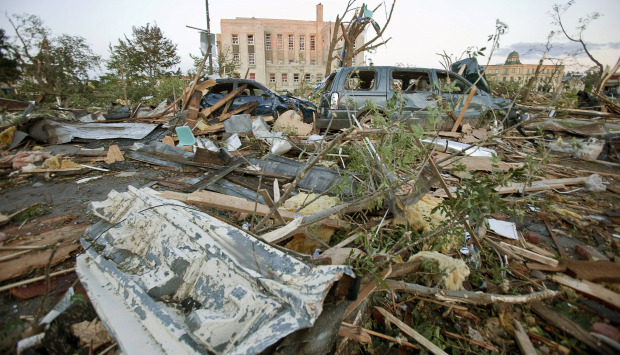 This was Ontario’s most powerful tornado in at least 15 years. Hint of fall – say it isn’t so! 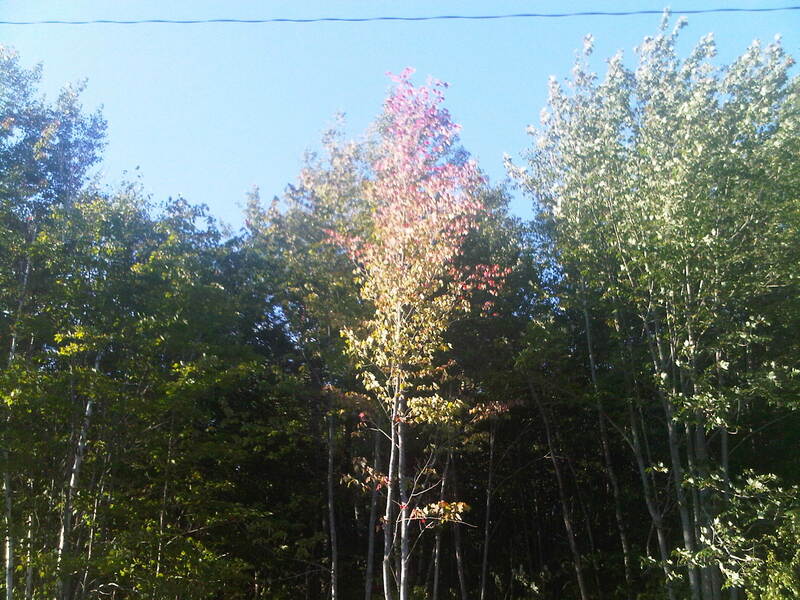 It seems hard to believe but some trees are already sporting a hint of fall colours. I spotted the tree above at Fairview Knoll Park in NE Moncton yesterday and I’ve noticed other hints of colour in Lakeville, north of Moncton as well. After the summer of our discontent, we can only hope that autumn will be a sunny and warm season (which it often is). Environment Canada has confirmed a tornado touched down in Northwestern Ontario yesterday after reports of funnel clouds in several communities. 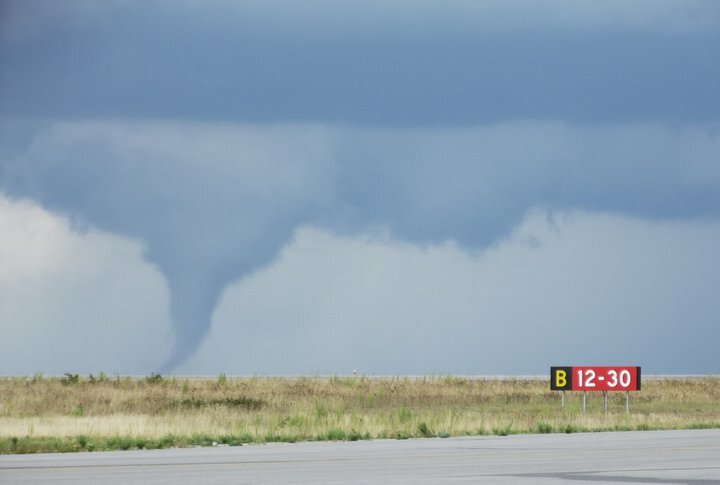 A tornado was spotted near Dryden Airport at 4:30 p.m. (pictured above) and northwest of the Sioux Lookout Airport at 5:40 p.m. The tornado track was reportedly about 80 kilometres long over a remote area. No structural damage or injuries have been reported. Tornado warnings were issued across Northwestern Ontario yesterday as severe weather swept through the region.